The National Oceanic and Atmospheric Administration (NOAA) relies on precise data and comprehensive analytics to execute its missions of better understanding and predicting changes in climate and conserving and managing coastal and marine ecosystems. To effectively execute these missions, the agency must be able to identify environmental risk factors, often in hard-to-reach areas. NOAA enlisted Quantum Spatial, Inc., the largest independent geospatial firm in the United States, to help assess three National Estuarine Research Reserves (NERR). Ground survey or manned aircraft have typically been used to conduct these large-scale analyses, methods that are too tedious, inefficient, and/or costly. With 29 NERR sites, each varying in terrain, NOAA needed adaptability, efficiency, and cost effectiveness. The limitations of typical methods prompted QSI to seek an alternative solution: one they found with PrecisionHawk. 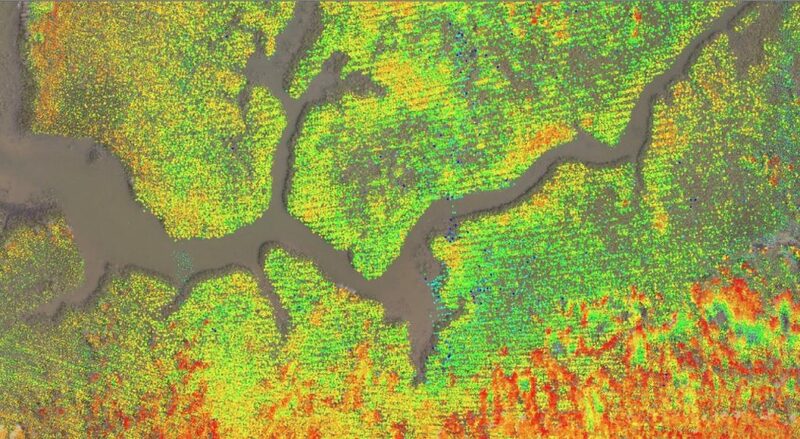 PrecisionHawk’s flight team worked closely with QSI to investigate the range of ecosystems in the NERRs. Using our equipment and analysis tools, NOAA was able to obtain more precise data by maintaining adaptability and efficiency, and cutting costs. Download the case study to learn more about how drone technology enables large-scale imagery projects in hard-to-reach environments.